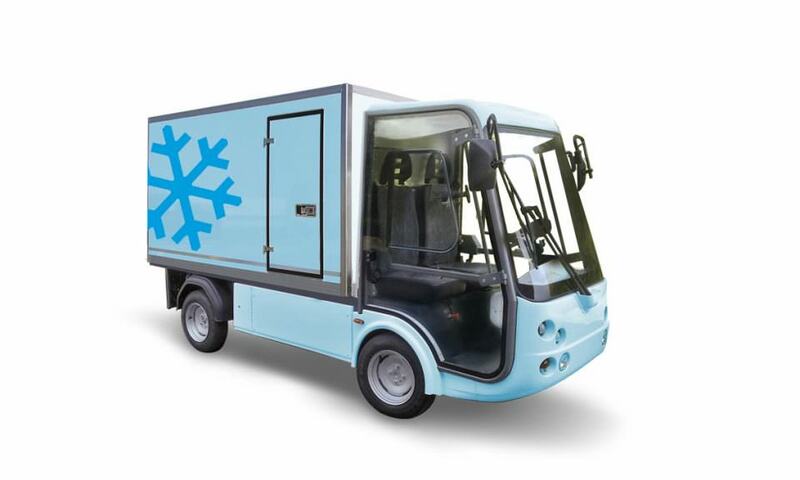 Designed and built for last mile food delivery, the Esagono Fresh Food Cooling Van ensures temperatures remain within a 0-4 degrees tolerance keeping produce fresh and ready for sale. Constructed with isothermal walls made from insolation, fiberglass and rigid polyurethane foam the Fresh Food Cooling Van also includes a gelcoat finished interior specific for food transportation. The cooling van box is finished in aluminium and features damper side and optional rear doors. The Fresh Food Cooling Van System is available to fit the Esagono Gastone street legal electric utility vehicle.